Outdoor flooring includes the use of tiles, natural stone and wood-plastic materials. The installation and use of the flooring depend on your individual choice. 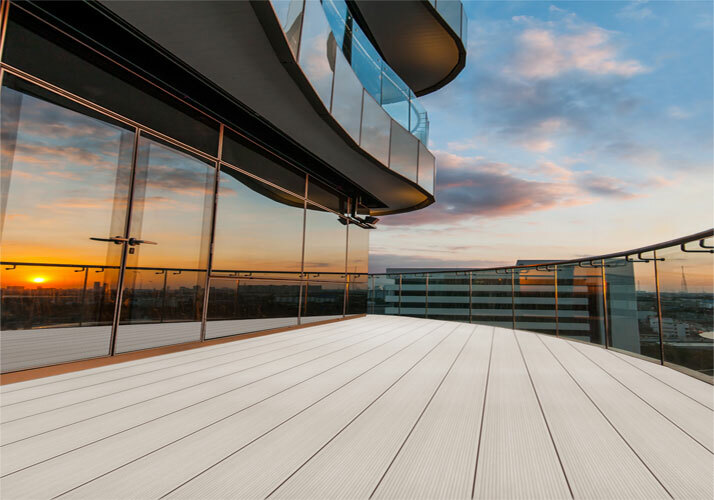 if you need economical and beautiful material, you have more time enjoying your life, wood plastic composite flooring maybe is a good option for you. Installation of wpc flooring. No need to spend too many tools. You can install, it very simple and easy, WPC flooring can be made to any degree, with a variety of patterns and have a wooden texture. Able to meet the needs of different users. It is resistant to wear and corrosion, more than 15 years of outdoor life without maintenance. Eliminating the need for a lot of costs. The 21st century, more and more people to use wpc flooring to replace the traditional wood materials, which is advocated around the world, not only to save our resources, but also to protect our environment. WPC material is truly environmentally friendly materials, can be 100% recycling after use. If you like our products, please contact us immediately. We are a professional set of wood plastic manufacturing and sales and integration of the company, every year our products export to different countries, such as UK, Ireland, Spain, Malaysia, Philippines, New Zealand ect.